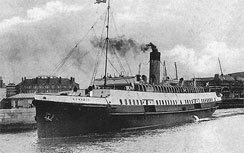 SS Nomadic has returned to Belfast! 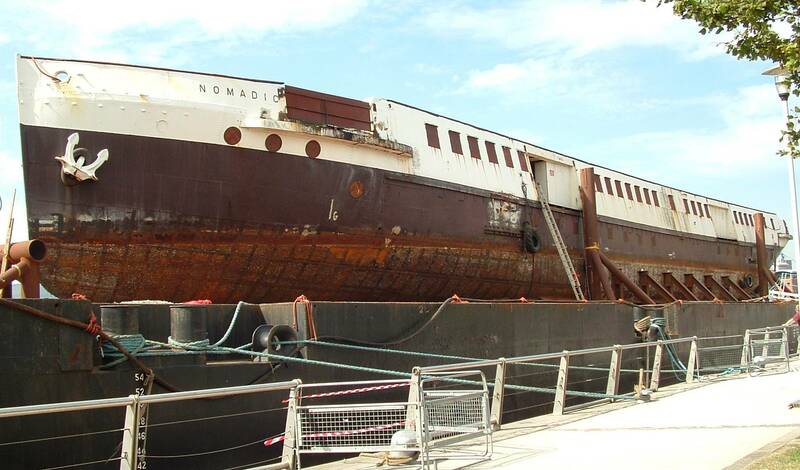 For the first time since leaving here in 1911, Nomadic has returned home to Belfast today,15th July. Originally, she wasn;t supposed to be here until Monday, but because of goo weather, she has arrived early. She will be moved near the Odyssey Complex in Belfast on Monday, where she will be on view to the public, while the next step in her restoration is confirmed. I cant belive the old ship made it in one day before of its arrival date. Titanic was trying to do the same, but sanked. Excellent news! I'm over flowing with joy to hear that! I can't wait for the pics of Nomadic. Thanks for the update on her. Some pics now uploaded, should be on shortly. Will have more later tonight following her Official Reception tonight. I managed to get near Nomadic at Harland & Wolff and take these pics through a fence, and I wasn't alone. You have never seen so many grown men so excited over a piece of metal. A big liner is in town(Golden Princess), but we were all more interested in Nomadic. Shower us with pictures of the Nomadic! aka spam us =P That is a GOOD picture of her! Did you take that with digit camera?